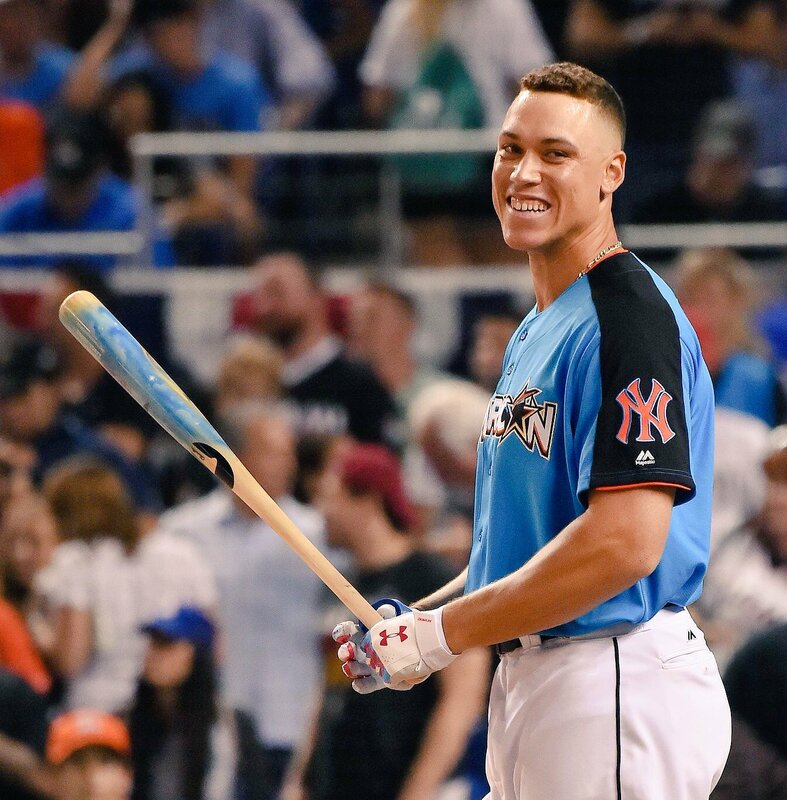 Home » Baseball » AARON JUDGE HAS WON THE WON THE HOME RUN DERBY!!!! AARON JUDGE HAS WON THE WON THE HOME RUN DERBY!!!! The Greatest Show On Earth: @TheJudge44 wins 2017 @TMobile #HRDerby. It was never in doubt that today was in fact Judgement Day for the Home Run Derby and America’s favorite Judge, Aaron, ran away with the Home Run Derby crown. He only needed 11 ding dongs in the final round and it looked like he might have been able to do it left handed. Aaron Judge got a chance to showcase his skills to the world while everyone was watching and even his peers were in aw of his amazing god given talent. It seemed like Judge got the approval of main stream sports media, many of whom had heard about his mammoth home runs, but never actually saw Yankee games. Judge is the newest face of baseball and MLB seems to be happy with him being the face of baseball, as they are doing a great job marketing him. Judge was not the only Yankee in the home run derby, Gary Sanchez was also part of the showcase. Sanchez’s invitation was heavily criticized by Logan Morrison of the Rays. Sanchez silenced all his doubters by defeating the home town hero Giancarlo Stanton. The Yankees were in the fore front of the home run derby, which sets up a great All Star Game tomorrow. Hopefully, the success of Judge and Sanchez at the home run derby will lead them into a great start to the second half of the season. I will have more on the expectations of the Yankees in the second half of the season later this week, but today was a great day for Bombers’ fans for which has been a bad a couple of weeks for the Yankees.